According to Senator Leila de Lima, she’s prepared to be the first political prisoner of the fascist regime of the Duterte administration. “If the loss of my freedom is the price I have to pay for standing up against the butchery of the Duterte regime, then it is a price I am willing to pay. But they are mistaken if they think my fight ends here. 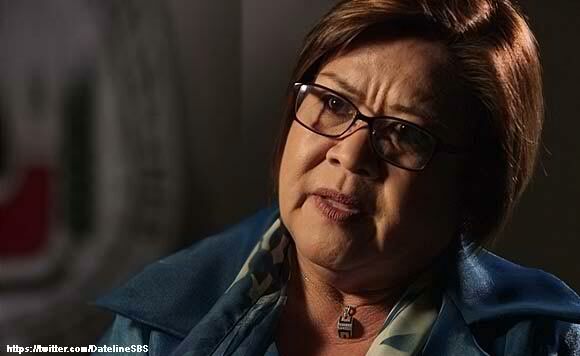 It has only begun,” De Lima said. “This is the kind of vindictive politics that we only expect from this regime. We will continue to fight this battle and wage our own war for human rights and democracy. In the end, justice will prevail and we will be vindicated,” she added. “May lawyers are already on top of the situation and will be filing the corresponding motions as soon as the cases are raffled to a specific branch,” she said. “Change has indeed come and it has come to devour our sense of justice and morality where right is turned to wrong and wrong is made right,” the senator said. Wider-wider lang yan Madam Lie la De lie ma...what happened during your time, as if nobody can touch you. Remember the law of karma? What comes around goes around.